A Brief History Lesson Of Brent Muscat. . . He is known to be the nicest guy in the music business with the sweetest smile that can melt metal. A musician who never tires of touring or of his fans, who can make playing the guitar look as easy as breathing. Not many around that can hold that kind of prestige, but this cat's got it down to a science, and to top it all off, he's got some class too. 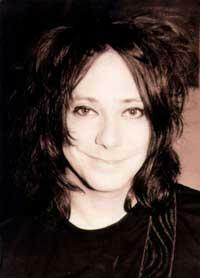 The youngest of three children, Brent Preston Muscat was born on April 23, 1967, in Hollywood, California. Always having a heart for music, his vocation began with the trumpet which eventually led to the guitar at the age of thirteen. Influenced by such noteworthy artists such as David Bowie, Sly And The Family Stone and the whole punk rock genre, he found himself going in the direction of rock n roll, joining his first band at the age of sixteen. In 1985, he formed Faster Pussycat with fellow LA musician, Taime Down. The glam music scene was on the rise in LA, and he found himself and his band, gravitating towards it. They had chosen their name from an old Russ Meyer classic cult film called "Faster Pussycat Kill! Kill!". They played all of the prominent LA clubs such as The Whiskey, The Troubadour, Gazzari's, and The Roxy. The band had soon developed a huge following, packing the clubs everytime they played. The group was signed to Elektra Records in 1986 and things finally began to rock n roll. The band's line-up at the time of signing was: Taime Down: vocals, Brent: guitar, Greg Steel: guitar, Kelly Nickels: (ex-LA Guns)bass, Mark Michaels: drums. Their self titled album made its appearance in 1987 with Eric Stacy replacing the injured Nickels after a motorcycle accident sidelined him. Taime and his roomate, future MTV Headbanger's Ball VJ, Riki Rachtman, opened a club on the Sunset Strip called The Cathouse, where the band became the house band and played there whenever they would return from touring, to a packed house. During this time the band was featured on a rockumentary called "The Decline Of The Western Civilization Part II, The Metal Years". This documentary showed the LA music scene in the late 80's and a lot hopefuls yet to carve a niche for themselves in the rock world. Faster Pussycat was one of the signed bands that were interviewed for the chronicle. Their ship had finally rolled in with the release oh their 2nd album Wake Me When It's Over which surfaced in 1989, spawning a "Z Rock 50" number one hit with Taime's semi-autobiographical ballad "House of Pain". The third and final album for Elektra: Whipped came out in 1992 after a brief hiatus and by 1993, although the band was on tour with Kiss, they were dropped mercilessly from the label. Glam bands were quickly becoming a thing of the past with the rise of the Seattle grunge rock scene. Once the band folded, Brent worked a few day jobs, doing everything from working in coffee shops to working as a camera assistant on music videos for the alternative band, The Red Hot Chili Peppers, the late R&B star Aaliyah and former Stray Cat,Brian Setzer. He also worked on a few TV commercials. Always admiring the Asain culture, he went back to school in 1996, to learn the Japanese language. Still, he always found time for joining LA Guns' Phil Lewis new band, The Liberators in 1998 and Bubble featuring ex-Vixen alumni Share (Pederson) Ross, towards the year's end of 1999. Keeping himself busy he joined the LA Guns crew in 2000 for a summer tour, and stayed with Bubble until 2001 when Faster Pussycat reunited. Maintaining the tradition of being in more then one band at the same time, he had side projects going on with the Sinthetics (formerly Superficial) in 2001 and wituh an ex-Guns N Roses drummer Steve Adler in an outfit called Suki Jones whom he still plays with to this day. He has been involved with the producing end of music helping the band Blackboard Jungle in the early 90's. In 2001, he began wearing his producing hat again, bolstering careers of the all girl band, Asain band, Ash Wednesday, Smack, The Nastys and former Blackboard Jungle member, Britt's new band The Substitutes. He is always on the lookout for fresh, new talent. As of late, he has turned his attentions to that of an author. His long awaited book; Brent Muscat: Babblin' On And On, will be available soon and his tour dairies from the METAL SLUDGE XTRAVAGANZA SUMMER TOUR 2003 with Faster Pussycat, were anxiously awaited on www.MetalSludge.com. He was touring with Pretty Boy Floyd and Enuff Z'Nuff. The band has a new EP and live DVD on the works. In his personal life: Brent was recently married in April of 2002. He and his wife currently live in Los Angeles. Birth place -- Hollywood, Cal. Favorite foods -- Thai, Sushi, Chijimi, K.B.B.Q. Comment to fans -- "Don't ever leave me!"